This is a rectangular Veltex Gasoline porcelain sign. This particular Veltex Gasoline sign is predominantly blue and orange. 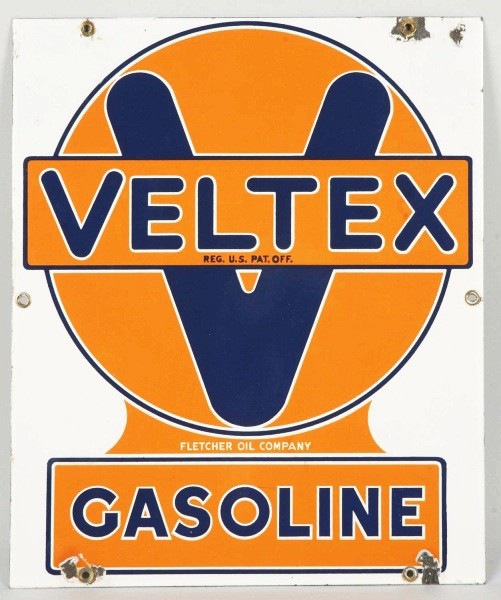 It reads, “Veltex Gasoline, Fletcher Oil Company” and features a blue “V” against an orange circle in the center of the sign.